That is sooooo Ca-UUUTE!!! I love the doggie images... especially the one with the bow tie -- ADORABLE!!! I love the colors and the hearts too - Super fun Valentine Card Lori! Have a great day! Now how cute is that!!! I love your card and the beautiful plaid is perfect. You definitely made it pop. Super job! 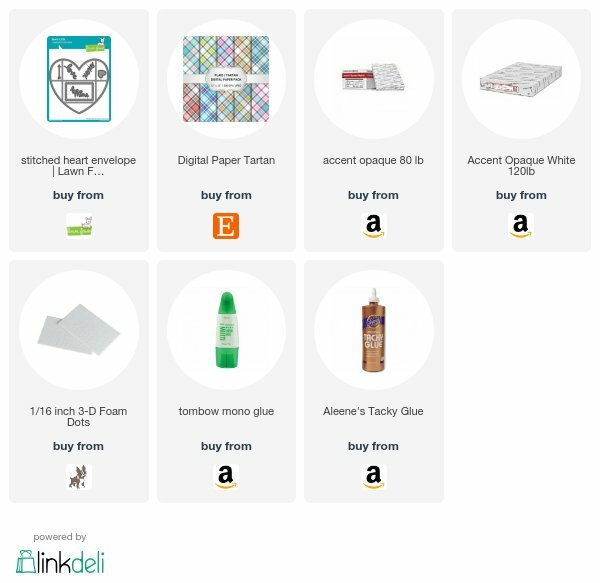 Thanks for sharing and inspiration. Oh Lori, what a sweet card. Oh my goodness. Cutest card ever! Love the whole card but really love the adorable little dogs. Cute, cute, cute. oh its so very cute! Sooooo adorable Lori!!!! How's that sweet grandbaby doing? 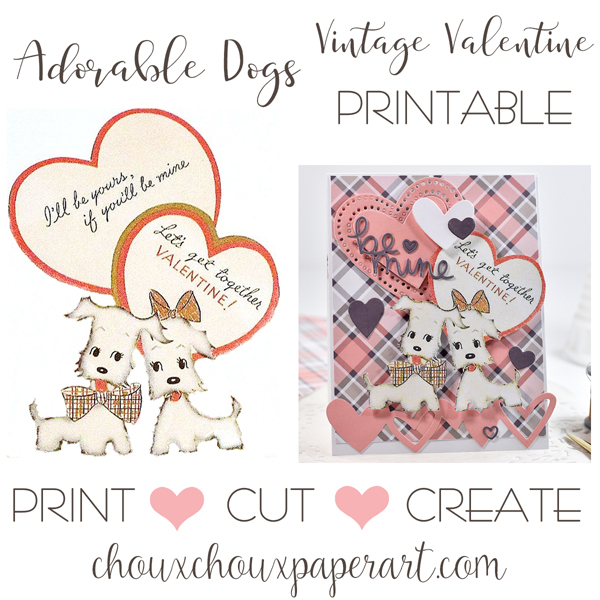 Awww...super cute Valentine dogs, Lori! Love all the hearts and the pretty color combo! Oh how sweet and adorable! Love the sweet little dogs Lori! Lovin' all the hearts! 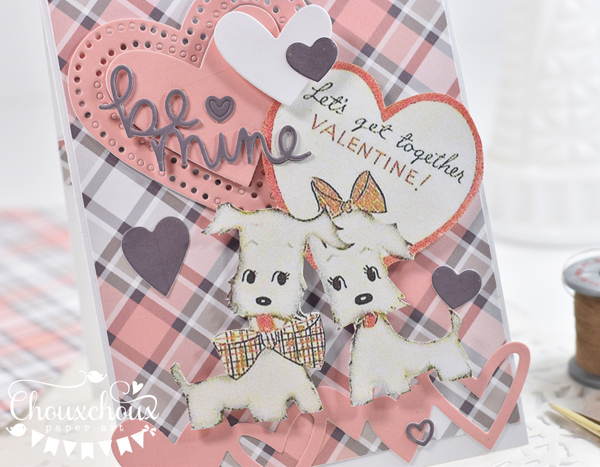 So happy to see a doggy card--just too cute, Lori! That plaid is beautiful & oh my goodness--love all the hearts! I can just hear Louisa saying that--how darling! Had to run and download these cuties. 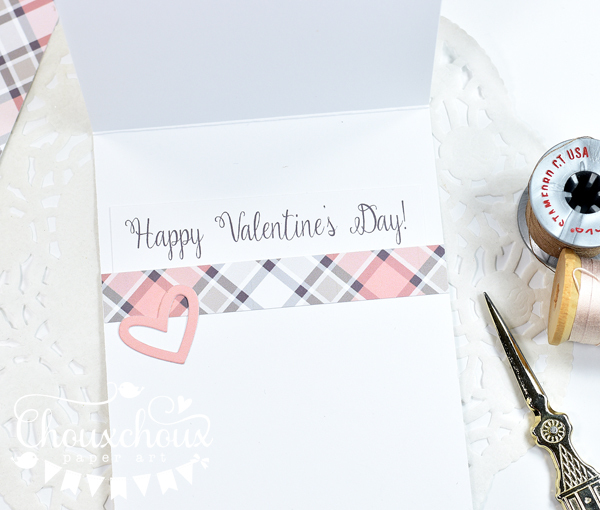 So sweet and you've picked the perfect plaid plus the layered hearts to make this card a stunner. Thanks! So sweet! I am a sucker for those cute pups and that plaid!!! Swoon! Adorable and beautiful! LOVE that plaid and those wonderful pups!! LOVE!